Contact Colin at 405-293-3132 or Jodi at (405) 395-8640 to have the Indian Territory Regulators at your event. When you think of the Civil War, most people think of soldiers and battle scenes. Did you know these images were created by artists on the battlefields employed by east coast newspapers? Romney Nesbitt, a civilian member of the 77th Pennsylvania Volunteer Infantry, portrays one of these artists. Dressed in civilian period dress, she draws portrait sketches in the style of Winslow Homer, a Harper’s Weekly artist. While she sketches she shares fascinating stories about his life on the battlefield and his post-war life as one of America’s most beloved painters. Romney, a former courtroom artist and professional portrait artist, draws pencil sketches in about ten minutes and color portraits in about 30 minutes. Romney Nesbitt is a Creativity Coach, artist, art teacher and author. Since the publication of her book, SECRETS FROM A CREATIVITY COACH (2008), she’s become the go-to speaker on creativity and productivity. She writes the popular advice column, “Ask a Creativity Coach,” for ART FOCUS OKLAHOMA magazine. Nesbitt has presented workshops on the creative process at Romance Writers of America, Jodi Thomas’ Writers’ Academy, Southern Nazarene University, Ozark Writers League, Salina, Kansas Arts Council, Oklahoma City Writers, Oklahoma Arts Council, Oklahoma Writers’ Federation Inc. and Artist Survival Kit workshops for Oklahoma Visual Arts Coalition (OVAC). Nesbitt is an art teacher at Jenks Public Schools where she was a finalist for Oklahoma Teacher of the Year in 2015. Nesbitt has undergraduate and graduate degrees in art and a Master of Divinity from Phillips Theological Seminary. 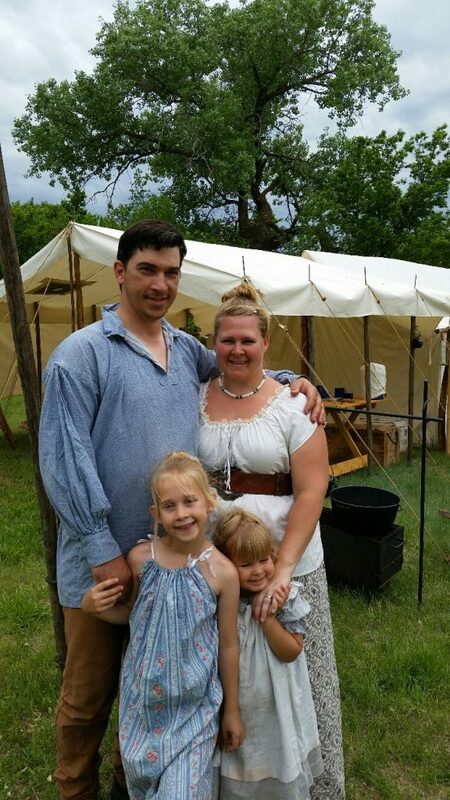 Cody and Angeline Wornkey portray settlers who crossed the plains by covered wagon. 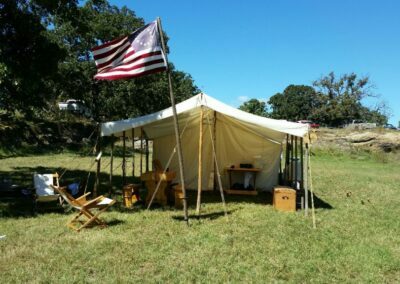 Prairie Farmers, living in a tent while gathering building supplies, they made friends with a nearby tribe, sharing hunting tips, life styles and trade. 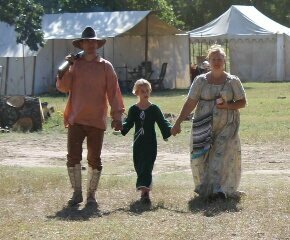 Festival guests are invited to meet and visit with the Wornkeys for more stories and demonstrations of life on the plains. The Saltfork Craftsmen are joining us for the festival this year, They are a group of Artisan Blacksmiths which will enlighten attendees about the art and skill of blacksmithing. Although earlier day Blacksmiths forged items out of necessity, today’s blacksmiths are using those same skills to make everything from tools and decorative pieces to jewelry. Kent Shelton has been working in show business for over 30 years. He graduated from North Carolina School of the Arts with a BFA in Drama. He then went to New York City and for the next ten years drove a carriage in Central Park and wrangled animals for Saturday Night Live, Candid Camera and operas at The Met. He also worked as an actor and fight choreographer on and off Broadway. While in NYC he co-founded the Hanlon-Lees Action Theater, a troupe of thespians which perform jousting acts at Renaissance Festivals all over the country. After a decade in NYC the company moved to Chicago and added Wild West shows to their repertoire; where Kent started portraying Buffalo Bill. Between wrangling animals and working as a stunt performer for such movies as “The Babe”, “Natural Born Killers”, “A League of Their Own”, “Rudy” and “Batman Begins”; Kent traveled to many states with the Hanlon-Lees performing in America’s Favorite Wild West show perfecting the character of Buffalo Bill. With their herd of horses, wagons, carriages, props and costumes increasing, Kent and the Hanlon-Lees left Chicago after 15 years for a 20-acre ranch in Oklahoma. There they continue to run their business from a central location of the United States, entertaining millions in out-door theater, TV and movies all over the country. 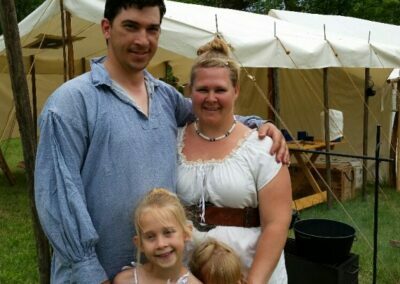 The Oklahoma Selfbow Society will be attending the Annual Chisholm Trail Festival. OSS is committed to “Preserving The Heritage of Primitive Archery”. Members will be present demonstrating the tools and steps in building a selfbow. Demonstrations will also include making primitive arrows. 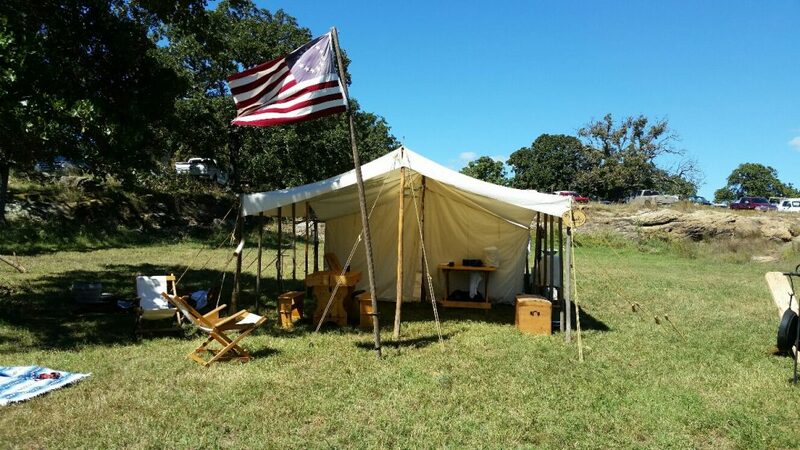 OSS is the host of OJAM which is an annual Jamboree dedicated to teaching attendees in the art of building bows, arrows and knapping flint arrowheads. For more information log onto www.okselfbow.com.